Northern Trust is delighted to announce that Sainsbury’s has been secured as food retailer for its £10 million Carrington Centre redevelopment in Eccleston, near Chorley. Sainsbury’s have signed a long term lease which will see them anchor the retail centre from the new 4,000 sq ft convenience store. The 13,000 sq ft new retail parade also includes 8 other shops including the post office and pharmacy as well as the library. 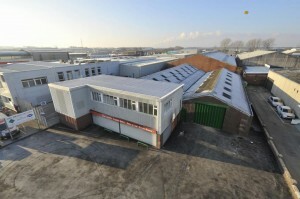 Only two of the shop units remain available to let and cover 743 sq ft and 1,523 sq ft respectively. Anyone interested should contact Peter E Gilkes & Co on 01257 266999. Work on the initial phase of the development has commenced and as expected should complete prior to Christmas to enable our retained tenants to benefit from the seasonal trade. Completion of the final fit out of the new Sainsbury’s store will follow in the New Year.